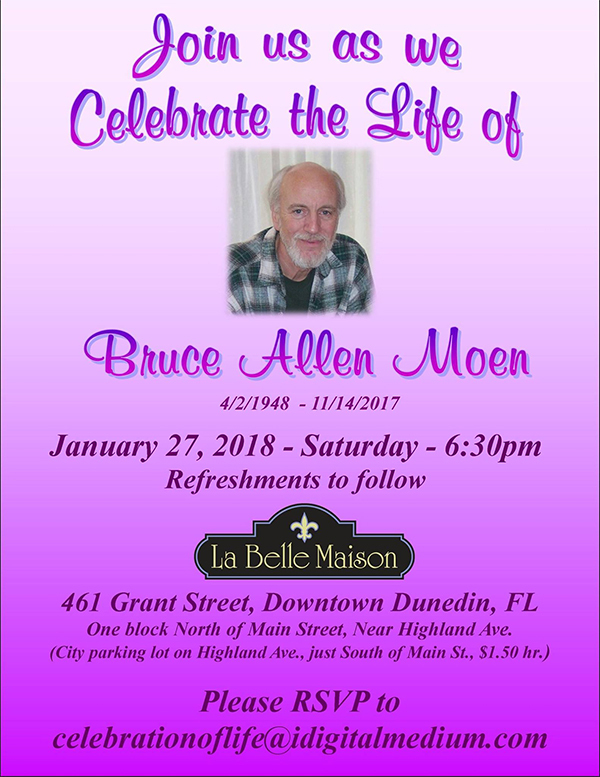 Here is the official announcement for Bruce's Celebration of Life. It will be held in Dunedin, Florida on Saturday January 27, 2018 at 6:30 pm. All are welcome. RSVP is requested. Please see this flyer for details.